FOOTBALL is one of the most popular games in the world and, as we saw from the recent World Cup in Russia, it's a sport that inspires passion in people across all nations. There is one man in particular we should be thanking for creating the sport we know and love today, Ebenezer Cobb Morley. The Englishman is often considered the "father of modern football" and is credited with playing a key role in creating the rules of the sport. He was such an integral part in making football the game that we know it to be today that Google is honouring his 187th birthday with a special Google Doodle. If this is the first time you have heard about Mr Morley then don't worry, because we have included a few facts about the football legend's life. Morley was one of the people that founded the Football Association (FA), which is the governing football body in England and the oldest in the world. He was born in Hull in 1831 and in his early 20s he moved to Barnes in London where he founded the Barnes Club. From there he reportedly wrote to Bell's Life newspaper proposing an association to govern football. This led to a meeting of all the football clubs in England and resulted in the creation of the FA. The original draft for the rules of the game originally had 23 rules and included controversial provisions like allowing players to "hack the front leg". Morley, along with the rest of the FA, eventually cut the list down to 13 and published them in a pamphlet in 1863 as the 'Laws of the Game', which would soon be adopted as the standardised rules. 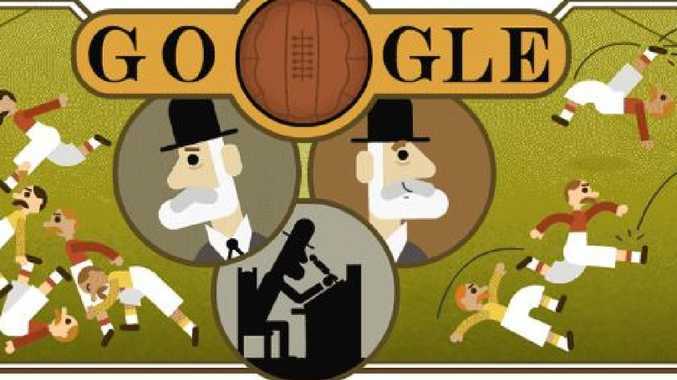 "Before Ebenezer Cobb Morley set down the rules of football in 1863, the game was much more chaotic than the version we know today," Google wrote. "His 13th rule gives some indication of how unruly football used to be: 'No player shall wear projecting nails, iron plates, or gutta percha on the soles or heels of his boots.'" Morley was a solicitor by profession and played his first match of football against Richmond in 1863, the same year he helped created the 13 governing rules. He also scored in the first competitive match, between the clubs of London and Sheffield on 31 March 1866. He died on 20 November 1924 (aged 93) in Richmond, London, with the official cause of death listed as natural ageing.